The Fuller Craft Museum is one the few specifically craft museums in the United States. Ranging from the traditional to the high tech, its appealing and thoughtful current exhibit showcases a wonderful assemblage of diverse Japanese utensils and accessories used in domestic as well as professional kitchens. The Olympic Look of the Games is the visual and environmental expression of a particular Olympic Games. At the 2018 PyeongChang Winter Games, the designers not only created a Korean signature, but a more elegant statement of the Winter celebration of athletic achievement. Trade Secrets, a rare plant and garden antique show and sale takes place this weekend, May 13th and 14th at lion Rock Farm in Sharon, Ct. The event benefits Women's Support Services. London's newly opened Design Museum is the world's leading museum devoted to contemporary design in every form from architecture and fashion to graphics, product and industrial design. The Design Museum is now open in its spectacular new location on High Street Kensington. It is now a major venue to visit in London. 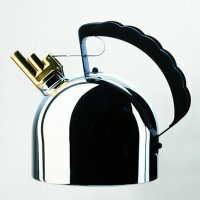 Iconic himself, Richard Sapper, an industrial designer whose sleek, precision-engineered prototypes spawned the Alessi espresso maker, the Tizio lamp and the IBM ThinkPad, died on Dec. 31 in Milan. 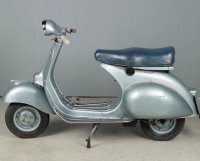 He set the highest standards for industrial design in the latter half of the 20th Century and the early 21st Century. Each year, the Berkshire Museum, hosts the Festival of Trees. 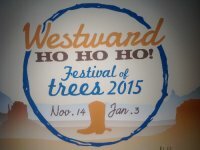 Both a fundraiser and a social event, this years theme is 'Westward Ho Ho Ho!' The goal is for the eighty participants to decorate their holiday trees in the theme of the event. The theme coincides with the museums 'American West' and 'Go West' exhibition. Jiminy Peak Resort, of New Ashford, Massachusetts, partners with Nexamp, a solar energy developer to construct a 2.3 megawayy solar energy facility that will tackle the majority of power used on the ski mountain and the neighboring community. 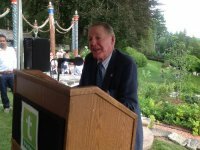 The Trustees of Naumkeag host the yearly Garden Party for an enthusiastic crowd of local and out-of-town well wishers. Bellinis , hors d'oeuvres and sweets entertained the crowds appetite on this glorious, sunny afternoon in Stockbridge, Massachusetts. The orange suit with bolero jacket and rhinestone designs was made for a one hit wonder who never picked it up. Since it was a perfect fit Nudie, the designer of the stars, made me an offer I could not refuse. Wearing it always resulted in total gonzo adventures. Valmor Products’ advertising and packaging is the subject of a funny, provocative and eye-opening exhibit at the Chicago Cultural Center. Love for Sale: The Graphic Art of Valmor Products runs until August 2 in the 4th floor north exhibit hall, just across from the not-to-be-missed exhibit of the paintings of Archibald Motley: Jazz Age Modernist. In its new, enlarged, and enhanced space, The Cooper-Hewitt Museum has increased its ability to present provocative and compelling perspectives on design. At its best, this museum pays homage to design as if it was great art: visitors are infused with delight and a sense of wonder by what design was, is, and what it means in our lives.